Healthcare costs are among the most persistent and expensive carried by businesses. However, there are cost savings options available to businesses searching for ways to keep big costs down. 1. Look into high deductible plans. One of the easiest and most direct ways to cut healthcare costs is to look at higher deductible plans. Because employees must pay more out of pocket before their coverage kicks in, the plans often cost a fraction of what a lower deductible plan will. Make sure that employees are educated to make the most out of this plan’s savings. For instance, let them know that preventative care is still typically covered without a deductible. Additionally, help them understand offerings like HSAs and FSAs, which allow them to save pre-tax money from their paychecks to cover health-related costs. 2. Help employees pick primary care physicians to reduce reliance on emergency rooms and urgent care. A study from the Kaiser Family Foundation reveals that twenty-eight percent of US men and 17% of US women do not have a primary care physician. One reason for this is that many individuals do not realize that being assigned a primary care physician by their insurer is not enough to get this relationship started. They need to get in touch with the practice, ensure that they are taking new patients and set up an appointment to begin care. When these steps are skipped, an employee may find that they are unable to get an appointment when they need one for illness or injury. The result is an over-reliance of urgent care and emergency rooms, both of which drive up medical costs. 3. Encourage employees to seek preventative care. Study after study shows: preventative care is a highly affordable way to avoid excessive health costs later. This is the reason that preventative care appointments are 100% covered under ACA-compatible plans. When individuals find issues early, they are typically able to treat them with more conservative approaches and avoid more serious treatments completely. Create handouts that encourage employees to get regular checkups and preventative care. Explain the benefits of early detection, as well as what sorts of preventative care they may be missing. Let them know that skipping out on preventative care is leaving valuable benefits on the table. By helping them understand this part of their benefits, you can help them take a more active role in their health and coverage. 4. Offer incentives for better employee health. Healthier employees are less likely to rely heavily on their health coverage. They also take fewer sick days and have higher productivity. This is why it is a good idea to offer incentives to help your employees make the choices that will best enhance their health. Incentives can come in a number of forms, each of which can work together for a healthier team of workers. Instead of just providing coffee in the lounge room, make sure that there is plenty of cold water to drink. Offer snacks like fresh fruit and vegetables to combat the constant stream of baked goods that find their way into most employee break rooms. Consider giving healthy gifts like reusable water bottles and pedometers. Offer subsidized health club memberships. 5. Take full advantage of health insurance tax credits. 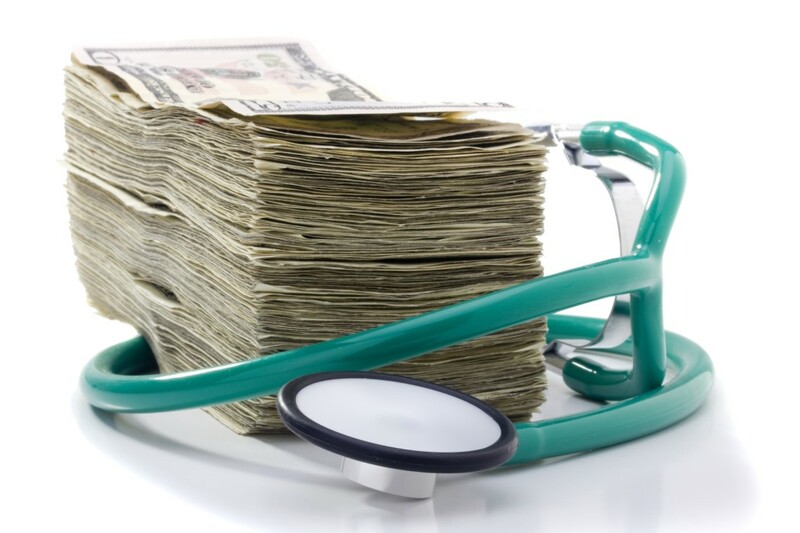 Many of the dollars spent on healthcare costs can be recouped through valuable tax credits. The ACA provides a refundable credit for businesses of certain sizes that can often cover a significant portion of the money spent on employee premiums, for instance. Savings in payroll taxes is another area where significant cost savings can be found. Health Savings Accounts use pre-tax dollars, so you and your employees can cut down on payroll taxes. Group health insurance plans are also paid for with pre-tax dollars, which can cut expenses at tax time for both you and employees. When your business is actively focused on the wellness of your staff, healthcare costs will eventually come down to a more reasonable level. Check out our free download: A Definitive Guide to Health Insurance Terminology. Managing healthcare costs can feel like a huge challenge. It can be difficult to become aware of all the options, let alone the best ways to pursue them. We can help. Our caring and knowledgeable team members have extensive experience helping business owners and managers navigate healthcare’s complicated avenues. Get in touch for a consultation today.